We are a team of Marketers and Designers with a unique hands-on approach to help Businesses and Individuals with all aspects of Digital Marketing Strategy, Social Media Marketing, Search Engine Marketing (SEO & PPC), Branding & Designing, Video Animations, Web/App Development, and Conversion Optimization. We have experts in Engineering, Digital Marketing, Design, PR, and Marketing Automation. We’ve meticulously built a team of real-world marketers who understand the integrated approach it takes to crush your goals. And we know how to have fun doing it. 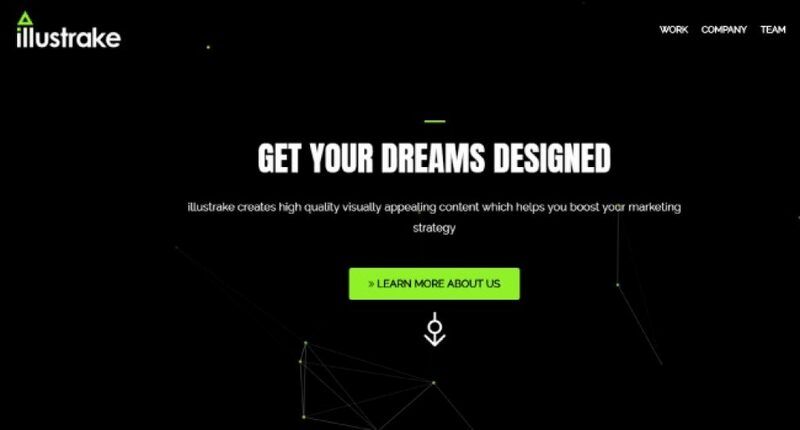 What problems does illustrake solve? We create high quality visually appealing content which helps you boost your marketing strategy. We help businesses of all sizes to try new things and attract new customers via marketing. Anyone who is looking for IT solutions. Such as startups, established business etc. We provide highly customized services. 200+ happy clients in the first year. Hi, I’m an illustrator. I create logotypes, icons, and illustrations. I love the web and I thrive off of using its full potential to complete business challenges. Besides this, I handle Digital Marketing, SEO, SEM, SMO, Visual Marketing, Graphic Designing and Conversion Optimization projects at illustrake. Hello! I’m an SEO Specialist. I have 4+ years of experience in the areas of Search Engine Optimization (SEO), Analytics, Keyword Research, Social Media Optimization (SMO), Adwords and understanding Search Engine behaviors. I also do Graphic Designing, Logo Designing, Web sites, and UIs. Hey There! I am a commercially focused Social Media Marketing Consultant and Strategist. I have worked with over 200 Startups, SME’s, Brands and Agencies across the World, offering strategic media support services that increase ROI. they are working for us since 2016 for the marketing of our light business.